Early last month, we revealed that Epson had launched SureColor F – Series Dye Sublimation printers which included the F6200, the F7200, and the F9200. The launch was another positive in the forward march of the textile imaging industry towards digital dye sublimation printing technology. Now, Epson has added to its collection of SureColor printer models with four new machines which are the SureColor SC – P6000, the SureColor SC – P8000, the SureColor SC – P7000, and the SureColor SC – P9000. Two of these new SureColor printer models are eight colour wide format machines while the other two are ten colour wide format machines. The SureColor SC – P6000 and the SureColor SC – P8000 are the former while the other two are the latter. 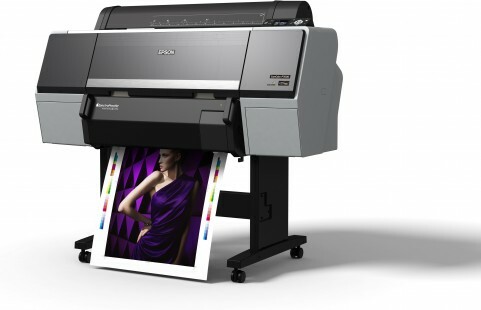 Furthermore, Epson has also provided the addition of the violet colour into the gamut of colours resulting in the SureColor SC – P7000V and the SureColor SC – P9000V models. These violet colour SureColor printer models have the potential to print 99 percent of Pantone colours making them capable of handling more colour diverse applications. The SureColor SC – P7000 and SureColor SC – P9000 standard models boast of the Light Black UltraChrome HDX ink configuration as opposed to the violet ink option. This allows these SureColor printer models to be ideal for business that deal with fine art and high end photographic projects. Specifically, Epson stated that these SureColor printer models will be ideal for proofing applications as well. 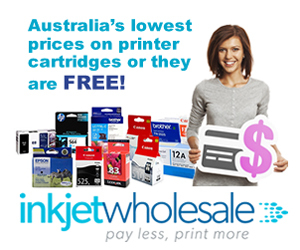 The logic behind this claim, as per the company, is that these printers print consistently high quality and accurate prints with respect to their colour quality. All the new SureColor printer models are built around Epson’s PrecisionCore print head technology. According to the Original Equipment Manufacturer (OEM), its PrecisionCore print head technology delivers “long lasting quality” with “outstanding performance” on account of its ability to put down extremely precise dot placement, shape, and size. The SureColor SC – P6000 and SureColor SC – P8000 models can provide heightened lightfastness and a wider colour gamut because they’re supported with Epson’s UltraChrome HD pigment-based ink set capable of eight colours. Epson also specified that the use of this ink set means that these SureColor printer models are capable of providing “neutral, crisp, and clear” black and white prints in the black and white mode and “intense, vibrant colours” in the colour printing mode. Each of the new SureColor printer models is available with the company’s off carriage, inline SpectroProofer. The inline SpectroProofer being provided comes with inbuilt ILS30 colorimeter, which Epson developed in collaboration with X – Rite. The inbuilt ILS30 colorimeter complies with the latest ISO lighting and measurement standards which includes M1. This feature of the new SureColor printer models also makes Epson’s recently released Color Calibration Utility easier to use for ensuring printer calibration because the two are compatible. The new spree of launches from Epson in this market segment isn’t all that surprising; especially if you consider that it revealed its intention to introduce 10 new inkjet printers for this market last year in 2014. With that release, Epson had explained that the launches will take place over a period spanning 18 months. The goal with these launches, according to Epson’s 2014 statement, is to propel it to the number one spot in this market segment. Of the newer SureColor printer models, Epson displayed the SureColor SC – P7000V fitted with the inline SpectroProofer at the Labelexpo Europe at the end of the last month and the beginning of October. The event was held in Brussels, Belgium. Fujifilm has improved upon its much appreciated and celebrated Acuity LED 1600 printer with another version of the same printer model capable of delivering increased speeds, improved productivity, and greater versatility. The new version is dubbed the Acuity LED 1600 II and it comes with a fast printing mode. While in the fast printing mode, the Acuity LED 1600 II will be able to print at 33 square metres per hour. This means that the printing speed of the Acuity LED 1600 II is about 50 percent higher than the printing speed of Acuity LED 1600. According to Fujifilm, the increased speed of the new version is based on its assessment of the market where demands for faster printer turnarounds and lower output costs abound. The new Acuity LED 1600 II model is capable of a maximum resolution of 1,200 dpi and can print substrate as wide as 1,610 mm. 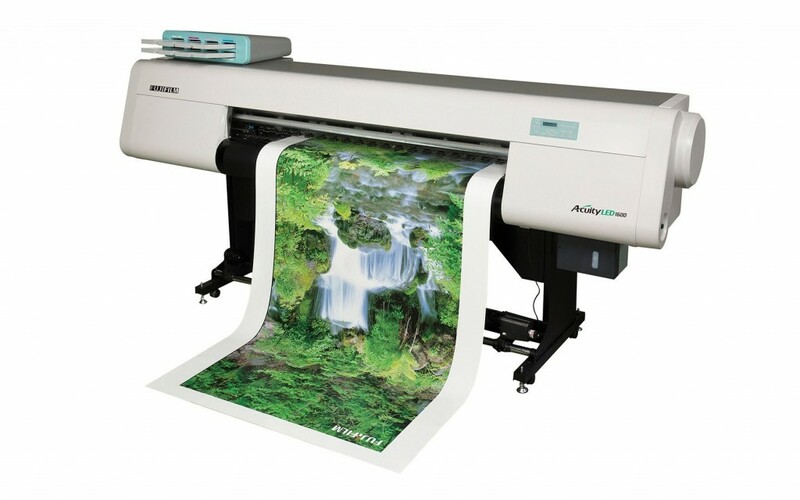 In addition, the Acuity LED 1600 II can handle two layer printing in its standard form and three layer printing if it is conjoined with the ColorGate RIP software or the Caldera software. According to the company, the ability to print in two layers and beyond will increase the productivity of its customers. There are a few other new features that have been added to the arsenal of the Acuity LED 1600. For instance, automated jetting adjustment is possible in the Acuity LED 1600 II on the basis of the gap between the print head and the substrate being printed. There are also two vacuum models in the new model designed to help the printer handle a wider variety of media including low strength substrates as well as particularly thin media. In order to support the lowering of maintenance costs, the white and clear ink heads of the Acuity LED 1600 II can be disabled. These new features will increase the flexibility and versatility of the new printer model even further. Another boon from Fujifilm comes in the form of possible retrofitting of all the new features. This means that if a user of the Acuity LED 1600 chooses, he can add these features to his older model converting his existing printer to Acuity LED 1600 II. The new version of the Acuity LED 1600 was displayed by Fujifilm at the Viscom which was held in Paris, France at end of September and beginning of this month.